I’m going to be honest – Sci-Fi/Fantasy has not been my thing lately. This pains me to say, because I adore those genres, and it’s absolutely not the books’ fault. It’s totally a problem with me. The book I’m trying to write (I say “trying” because I’ve rewritten the ending so many times I’ve lost count, and it is still not right) is very plot-heavy and intricate, and my poor brain is just not capable of processing the world-building that’s necessary in speculative fiction. Contemporary. That’s all I can do. Because although contemporary fiction can still be smart and intricate, at least my brain is already familiar with the world and the laws of the universe. Plus, contemporary fiction is often focused a lot more on emotion and character than plot. I can handle emotion and character. But plot? I am up to my ears in plot. I have reached my capacity on plot. No more plot. ALL THIS TO SAY, I was wary about reading MG Buehrlen’s debut, THE FIFTY-SEVEN LIVES OF ALEX WAYFARE, because it is not only sci-fi, but it is the epitome of mind-bendy sci-fi, which is TIME TRAVEL SCI-FI. I didn’t know if my poor brain could handle it. But I knew I had to at least give it a try, because MG is delightful (I haven’t met her in person — YET — but we converse often enough on Twitter that I feel like I know her. Creepy? Let’s hope not.) and because I have friends who know her and share my taste who swore up and down that her book is brilliant and I would love it. I trust these friends. And I really, really wanted to enjoy MG’s debut. So even though I was pretty sure it would break my brain (again), I gave it a shot. The verdict? I should never have doubted. I loved it. THE FIFTY-SEVEN LIVES OF ALEX WAYFARE does all sorts of things I don’t see often in YA, and especially in this kind of intricately-plotted, genre-bending, world-building-heavy YA. It gives our main character, Alex, an entire intact family unit, complete with parents, grandparents, and siblings, that is not dysfunctional in the slightest. It puts at the center of the book a relationship that is in no way romantic, and a male lead who isn’t even kind of swoony (unless you are about 40+ years older than the book’s target audience, in which case 1) GOOD FOR YOU, and 2) go right ahead and swoon). It presents three possible love interests for the main character, but at no time ever resembles a love triangle, square, hexagon, dodecahedron, or any other geometric shape. And of those three, not a single one is an obviously terrible choice. Yet at the same time, Alex is not a She’s-All-That-esque swan-in-ugly-duckling-clothing. When she takes off her nerd glasses, she is — shockingly — still a nerd. She never becomes magically popular. She isn’t stunningly beautiful underneath her rumpled appearance. And she actually turns out to be less of a Chosen One than she originally thought. This all brings me to the main reason I loved this book: It put characters first. A lot of time, even in good books, when there’s this many EVENTS that have to happen on the pages, writers almost seem to run out of room to develop the characters. But with ALEX WAYFARE, the thing that kept me turning pages well past my bedtime wasn’t the thrilling missions through time or the looming menace of the ever-nearing villain — though those were fun too — it was the heart in the characters. It was the fact that the characters rang true. They reacted illogically. They made mistakes. They carried unfair prejudices. But these weren’t just quirks. They weren’t a laundry list of imperfections so that the characters could be more interesting. They gave the characters depth and history, even when I didn’t agree with them. Take Alex herself. At one point, she tells a boy that he should know that most girls are “shallow, shallow creatures.” At first glance, a reader might be turned off by that line. That’s an awfully sweeping statement to make about half the human race, isn’t it? Isn’t she a girl? Isn’t her sister, who she adores, also a girl? Why does Alex think she’s such a special snowflake? But then you realize, Alex literally has no friends. Her only encounters with other girls are with the couple popular girls at school who bully her and gave her an ugly nickname. Everyone else seems to pretty much ignore her. She’s under the impression that the entire school is constantly whispering about her, but in reality, they’re probably not. It’s just her perception of reality. As a result, she closes herself off and tries not to interact with anyone. Ever. So of course she thinks all girls are awful. Her only encounters with them have been negative, and as a coping mechanism, she’s made sure that the only way she will continue to have contact with girls is if they seek her out. And who seeks her out? The bullies. This isn’t the only example where Alex, or the other characters, rang true in their shortcomings. It’s just one that stood out, because I remember going through a whole circuit of reactions when I read that line. Plus it’s toward the end of the book, so it’s fresh in my memory. 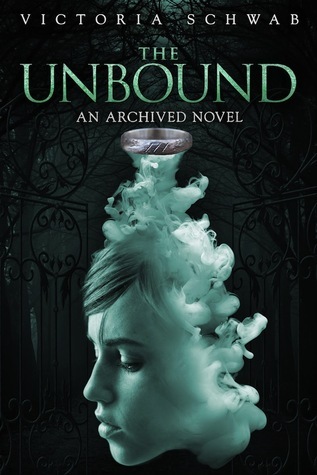 I liked that MG Buehrlen didn’t shy away from the less appealing aspects of her characters, but instead explored them and allowed me to see why they’d come to think or act the ways they did. In addition to being a bit prejudiced against her own gender, Alex is impulsive, naive, and kind of shockingly short-sighted at times. But then these moments of weakness are balanced with strengths. Alex is also clever, inventive, brave, caring, and loyal. Her good points really do outweigh the bad, and I thoroughly enjoyed watching her develop and mature throughout the story. And she’s not the only one. I loved her family, and how involved they all were in each other’s lives. I loved Porter, her middle-aged mentor who teaches her about herself. And I loved Blue, the boy she meets over and over again in each of her lives, and Jensen, the boy on whom she blames her social misfit status. Outside of the characters, though, I loved the story itself. I loved the creative spin on a reincarnation story, and how each journey into Alex’s past highlighted a different point in history. The narrative weaves seamlessly through different eras, jumping from the modern day to Prohibition-era Chicago to a train heist in the Wild West. It kept me constantly on my toes, wondering where I’d be transported to next, and opened the door to endless possibilities in the future. And I followed the logic of the time travel pretty easily, with most of my questions being answered just a few pages after I asked them. 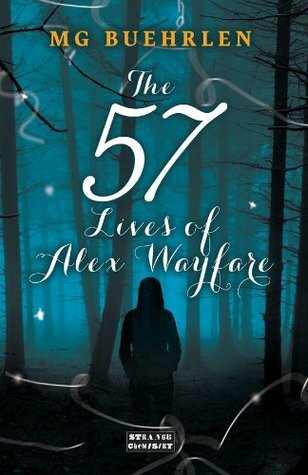 All in all, I loved the timey-wimey goodness that is THE FIFTY-SEVEN LIVES OF ALEX WAYFARE. It was a fun, energetic romp through history with characters I enjoyed following on their various (mis)adventures. It helped me rediscover my love of the genre, and made me excited for what’s to come in the series. 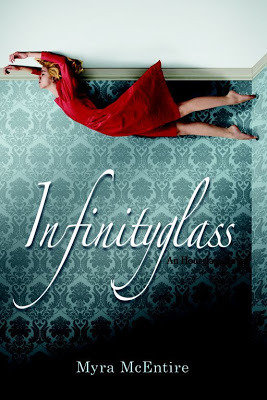 It ends on a bit of a cliffhanger, and when I turned the final page, I was left simultaneously satisfied and yearning for the next chapter in Alex’s story. If you’re a fan of time travel and adventure and history and heart, I highly recommend this one.